Precision components, stable control and a great deal of experience in engineering are essential for high-precision complex motion and positioning solutions. PI is a supplier of technologically sophisticated drive components and high-precision positioners and also offers all levels of integration up to the turnkey solution. Engineering services have been a part of PI’s core business for many years. Complete solutions, fitting seamlessly into existing processes, advance automation in major research installations as well as manufacturing and inspection processes for chip production or photonics packaging. Get to know the MiQA (Microscopy and Quality Assurance) system from PI miCos. 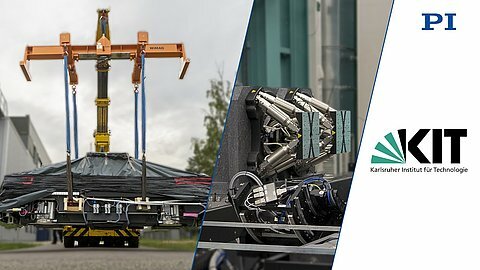 The unique system, which consists of hexapods, rotation stages, goniometers, and a custom sample stage, will be used by the ANKA (Angströmquelle Karlsruhe) at the Karlsruhe Institute. The system will be used in a beamline for X-ray microscopy and the qualification of x-ray optics. Join us on the journey of the MiQA (Microscopy and Quality Assurance) system from its place of origin at PI miCos in Eschbach to the Karlsruhe Institute of Technology. 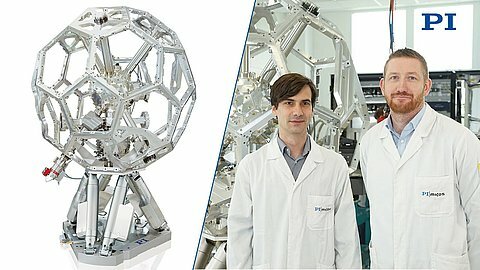 The system will be used in the ANKA (Angströmquelle Karlsruhe) for X-ray microscopy and the qualification of x-ray optics. 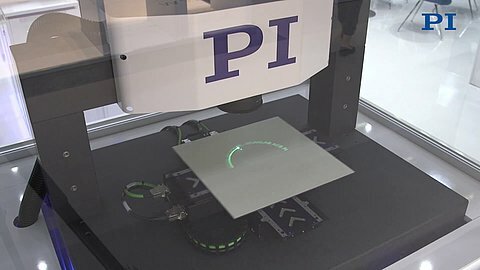 Together with SCANLAB and ACS, PI offers a motion control solution for laser material processing, which combines the laser beam scanner and sample scanner, provides the ability to mark and process large pieces with very high precision and an ultimate throughput. 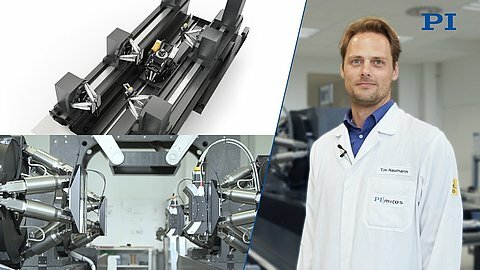 In this video, Dr. Markus Simon from PI miCos shows a special system set-up that is used for synchrotron x-ray spectroscopy. 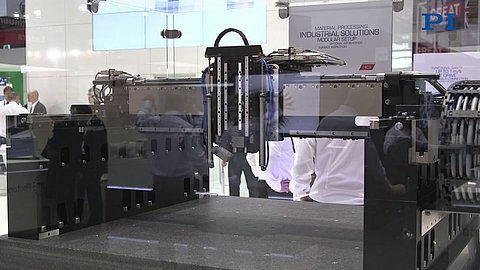 The system uses products from the field of hexapod technology and can be used for example, for material testing.